“Save the E-Word” is the title of a short essay written by the editorial staff of Christianity Today in 2006. They suggested that it was time to “improve the public perception of evangelicalism.” But only two years later, a prominent group of Evangelical leaders urged that the real need was not simply “improved public perception.” Rather than perception, the actual need was for understanding. 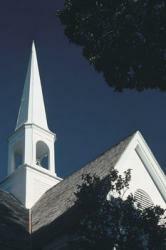 Concern for improved understanding led to the publication of An Evangelical Manifesto in 2008. Interestingly, the editor in chief of Christianity Today magazine, David Neff, was a member of the steering committee that drafted and promoted the manifesto, with its goal of providing understanding. The two-fold purpose of this declaration is first to address the confusions and corruptions that attend the term Evangelical in the United States and much of the Western world today, and second to clarify where we stand on issues that have caused consternation over Evangelicals in public life. As followers of “the narrow way,” our concern is not for approval and popular esteem. Nor do we regard it as accurate or faithful to pose as victims, or to protest at discrimination. We certainly do not face persecution like our fellow-believers elsewhere in the world. Too many of the problems we face as Evangelicals in the United States are those of our own making. If we protest, our protest has to begin with ourselves. Rather, we are troubled by the fact that the confusions and corruptions surrounding the term Evangelical have grown so deep that the character of what it means has been obscured and its importance lost. Many people outside the movement now doubt that Evangelical is ever positive, and many inside now wonder whether the term any longer serves a useful purpose. In contrast to such doubts, we boldly declare that, if we make clear what we mean by the term, we are unashamed to be Evangelical and Evangelicals. We believe that the term is important because the truth it conveys is all-important. A proper understanding of Evangelical and the Evangelicals has its own contribution to make, not only to the church but to the wider world; and especially to the plight of many who are poor, vulnerable, or without a voice in their communities. The entire Evangelical Manifesto deserves a close read today. But the following excerpt is especially important given the increasingly precarious position of religious liberty in our post-Obergefell era. Today, however, we Evangelicals wish to stand clear from certain positions in public life that are widely confused with Evangelicalism. The other error, made by both the religious left and the religious right in recent decades, is to politicize faith, using faith to express essentially political points that have lost touch with biblical truth. That way faith loses its independence, the church becomes “the regime at prayer,” Christians become “useful idiots” for one political party or another, and the Christian faith becomes an ideology in its purest form. Christian beliefs are used as weapons for political interests. Christians from both sides of the political spectrum, left as well as right, have made the mistake of politicizing faith; and it would be no improvement to respond to a weakening of the religious right with a rejuvenation of the religious left. Whichever side it comes from, a politicized faith is faithless, foolish, and disastrous for the church – and disastrous first and foremost for Christian reasons rather than constitutional reasons. Called to an allegiance higher than party, ideology, and nationality, we Evangelicals see it our duty to engage with politics, but our equal duty never to be completely equated with any party, partisan ideology, economic system, or nationality. In our scales, spiritual, moral, and social power are as important as political power, what is right outweighs what is popular, just as principle outweighs party, truth matters more than team-playing, and conscience more than power and survival. The Evangelical soul is not for sale. It has already been bought at an infinite price. Second, we Evangelicals repudiate the two extremes that define the present culture wars in the United States. There are deep and important issues at stake in the culture wars, issues on which the future of the United States and Western civilization will turn. But the trouble comes from the manner in which the issues are being fought. In particular, what we as Evangelicals lament in the culture warring is not just the general collapse of the common vision of the common good, but the endless conflict over the proper place of faiths in public life, and therefore of the freedom to enter and engage public life from the perspective of faith. A grand confusion now reigns as to any guiding principles by which people of different faiths may enter the public square and engage with each other robustly but civilly. The result is the “holy war” front of America’s wider culture wars, and a dangerous incubation of conflicts, hatreds, and lawsuits. We repudiate on one side the partisans of a sacred public square, those who for religious, historical, or cultural reasons would continue to give a preferred place in public life to one religion which in almost all most current cases would be the Christian faith, but could equally be another faith. In a society as religiously diverse as America today, no one faith should be normative for the entire society, yet there should be room for the free expression of faith in the public square. Let it be known unequivocally that we are committed to religious liberty for people of all faiths, including the right to convert to or from the Christian faith. We are firmly opposed to the imposition of theocracy on our pluralistic society. We are also concerned about the illiberalism of politically correct attacks on evangelism. We have no desire to coerce anyone or to impose on anyone beliefs and behavior that we have not persuaded them to adopt freely, and that we do not demonstrate in our own lives, above all by love. We repudiate on the other side the partisans of a naked public square, those who would make all religious expression inviolably private and keep the public square inviolably secular. Often advocated by a loose coalition of secularists, liberals, and supporters of the strict separation of church and state, this position is even less just and workable because it excludes the overwhelming majority of citizens who are still profoundly religious. Nothing is more illiberal than to invite people into the public square but insist that they be stripped of the faith that makes them who they are and shapes the way they see the world. In contrast to these extremes, our commitment is to a civil public square — a vision of public life in which citizens of all faiths are free to enter and engage the public square on the basis of their faith, but within a framework of what is agreed to be just and free for other faiths too. Thus every right we assert for ourselves is at once a right we defend for others. A right for a Christian is a right for a Jew, and a right for a secularist, and a right for a Mormon, and right for a Muslim, and a right for a Scientologist, and right for all the believers in all the faiths across this wide land. In addition to David Neff, editor in chief of Christianity Today, other members of An Evangelical Manifesto steering committee included Os Guinness, author and social critic, Richard Mouw, then-president of Fuller Theological Seminary, and Timothy George, dean of Beeson Divinity School at Samford University. An Evangelical Manifesto: A Declaration of Evangelical Identity and Public Commitment is available online. Also available is a study guide organized for six sessions of reading and discussion in a Sunday school class or other small group.